Our Topic is National Syndication of Christian Radio and the move to podcasting. The struggle between re-distribution and original content. Scales of national syndication of the radio side across the USA and the growing importance of podcasting to reach younger listeners. We discuss the National Religious Broadcaster's Proclaim16 Convention (NRBConvention.com) Feb 22-26, 20016 in Nashville. Matt Thomas, Executive Director, “Know The Truth” (KTT.org) and is a nationally syndicated radio show aired on over 450 radio stations. Produces the “Know The Truth Daily Podcast” in iTunes. Matt is on the radio/podcasting panel session here at Proclaim16. - Tell us about your Nationally Syndicated “Know The Truth Radio Show and Daily Podcast”? - Is the podcast version of the radio show different? - How long have you been offering the podcast? How important is the podcast now? - How important is the radio distribution part for the show now as digital has started to take off? - Is your radio distribution via satellite? 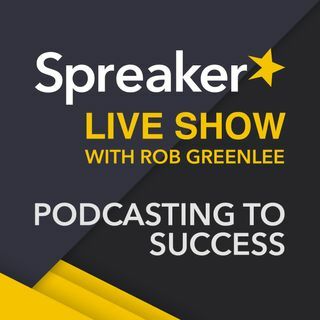 - What do you think about streaming, radio vs. the download model of podcasting? - What are some of the best ways Podcasting can be used to spread the word of god and faith! - Where to you record the show? - How should faith-based podcasters promote their shows and is local the future? or do you see more of a national/global focus? - Let’s talk about NRB (National Religious Broadcasters) and Proclaim16 Convention? - Have you been before to NRB events? - Is on demand audio going to dramatically change radio in the near term? Apps in Cars? Had no idea you guys were in Nashville! I would have totally been there. Sounding great Rob :smile: Let me know next time your in Tennessee. Hi, Thank you for listening!